CNET is reporting that a group angry about the recently-released anti-Islamist YouTube has taken credit for the attacks. The group calls itself "cyber fighters of Izz ad-din Al qassam” and is also claiming responsibility for cyber-attacks launched on J.P. Morgan and other banks last week. 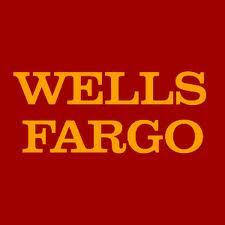 The cyber-attacks directed at the Wells Fargo servers were completed by flooding the servers with requests for information; the Wells Fargo servers were overloaded and timed out. The bandwidth used to overload the servers appears to be unprecedented if the reports are correct. Joseph Lieberman, the chairman of the Senate's Homeland Security and Governmental Affairs Committee, has stated that he believes that the nation of Iran is directly responsible for the attacks. The anti-Islamic video has been officially condemned by some member nations at the United Nations in the belief that the video will spread anti-Islamic sentiment throughout the western world. President Barack Obama has also stated that the anti-American sentiment which has increased as a result of the video needs to be quelled and that there needs to be more cooperation between the west and the east.